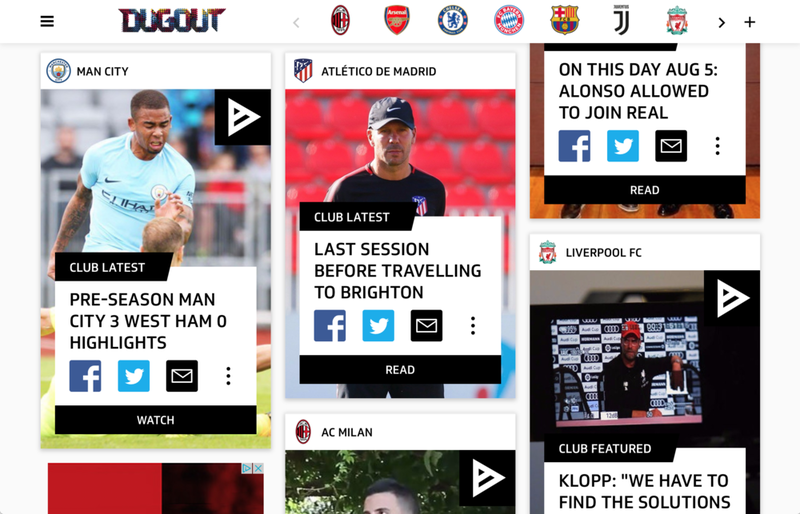 Dugout was founded in May 2016 with the aim of becoming the Facebook for millennial football supporters. To find out more about the scale and ambition of the project, read this article. By July 2016, the design team had already worked on the overall architecture of the site. I joined to help design the IOS app. The high-level objective was to create the best experience for users to enjoy the exclusive content published on the app and help them curate their content, by selecting their favourite clubs, players, legends and influencers. I worked at Dugout as a contractor for 8 weeks. The bottom strip allows the user to quickly scan content published by their favourite clubs and players.